This classic velvet gown is a beauty! 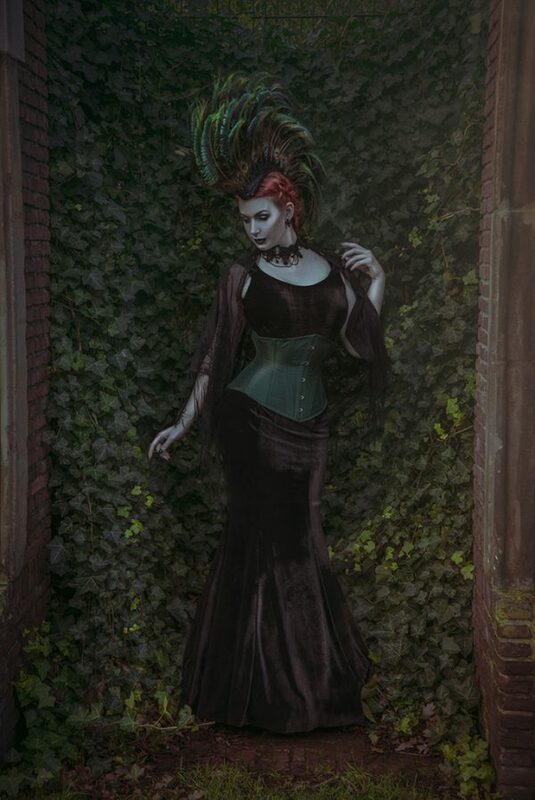 This gown was made for a photoshoot for Gothic and Amazing magazine. 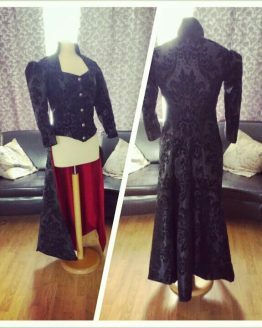 The gown is completely made out of a high quality stretch velvet and has a zipper at the back. The gown is fitted until the upper leg and flares out dramaticly. 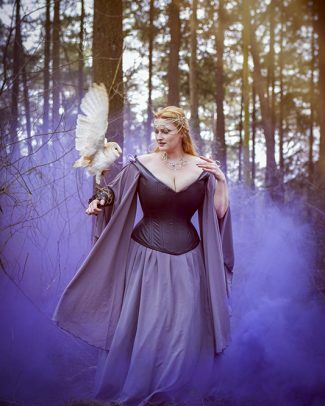 The gown will be made to your measurements and comes with an underskirt for the flare. This gown is also available as a custom items in a lot of different colors prices starting at 295 euro’s. 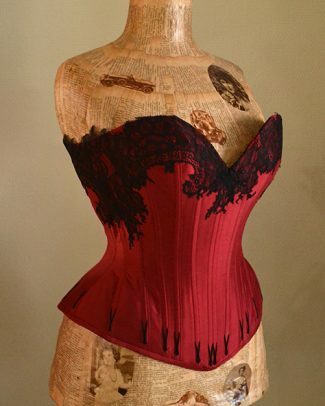 CORSET NOT INCLUDED! just the gown..
Photo by Sanne van bergenhenengouwen.